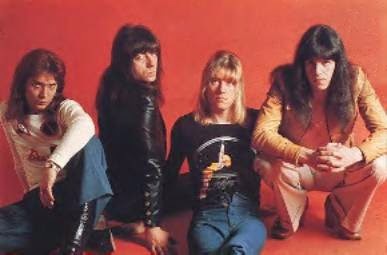 In 1976 The Sweet finally broke away from their songwriters and penned their own first album, Give Us A Wink. Always popular in Germany, this gig is a soundboard recording of their night in Berlin and features their...unusual twist on some of the lyrics to their hits! I remember this one took a while to work on - some tape faults, noise and a fair bit of EQ - but for a mid 70s recording it sounds pretty damn decent now - enjoy!